Kentucky Orthodontics & Invisalign is proud to offer lingual braces to our Kentucky patients. 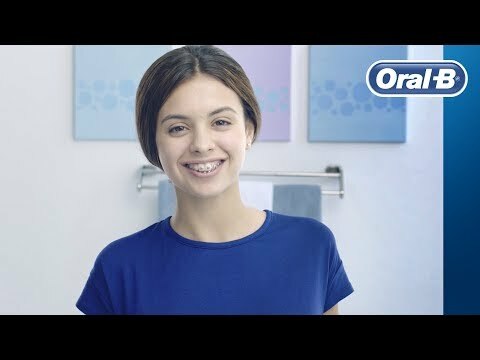 Lingual braces are a unique form of orthodontic treatment that are mounted on the backside of the teeth. This strategic method makes them nearly impossible to spot with the naked eye. Therefore, they are a great choice if you are concerned with the cosmetic appearance of your braces. As an elite orthodontics practice, our doctors are highly-skilled and experienced in placing lingual braces. This specific set of training is not very common, which is why we are so thrilled to be providing such exclusive care to our local communities. If you are in need of fixed braces that offer aesthetic appeal, call our office today to learn more about lingual braces. Unlike conventional metal braces, lingual braces are placed behind the teeth on the lingual (tongue) side. Although they are made of stainless steel material, lingual braces offer the same "invisible" benefits of clear aligners (Invisalign and ClearCorrect). Therefore, they are a great option for any adult professional, especially those who are very active sports players, prominent musicians, singers, and TV anchors. We also ensure custom fitting for the best fit possible. 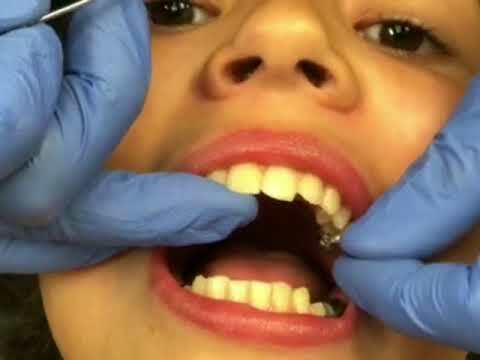 The process for lingual braces will be different than traditional braces since they will reside behind the teeth instead of the exterior side. Once impressions are made, we will create custom metal brackets. Typically, this process takes 1 – 2 weeks. Then, you will return to our office to have your brackets and metal archwires placed. Generally, this process takes several hours to complete. After receiving lingual braces, you should pay close attention to your oral hygiene regimen. Brushing, flossing, and rinsing with mouthwash should be a priority to ensure that food and bacteria are not trapped between the braces. Regular follow-ups will be scheduled with our office to ensure that your teeth are aligning at the proper rate and that your braces are fitting correctly. You may feel mild discomfort once the braces are first placed, but over time your teeth will adjust to the new feeling. Lingual braces can be worn for 18 – 36 months for optimal results. However, the wear time is also dependent on your personal goals and needs. If you're looking to straighten out and improve your smile but don't want the look of traditional metal braces, then lingual braces can be a great alternative. They fit comfortably behind the teeth for minimal visibility. We invite you to schedule an appointment at any one of our locations: Frankfort, Georgetown, Lexington, Louisville, Mount Sterling, Nicholasville, Owingsville, Richmond, or Winchester. Our Orthodontists Drs. Douglas. D. Durbin, Thomas C. Garner, and Lauren D. Morris can create a custom treatment plan that will lead to a gorgeous smile.